I'm making a conscious effort this year to read the books that I already own (revolutionary idea, I know) so I'm not buying a whole lot. I do, however, have four books to show you this month that I either spied in the charity shop for £1 a piece or received in celebration of spending 6 years with Luke. 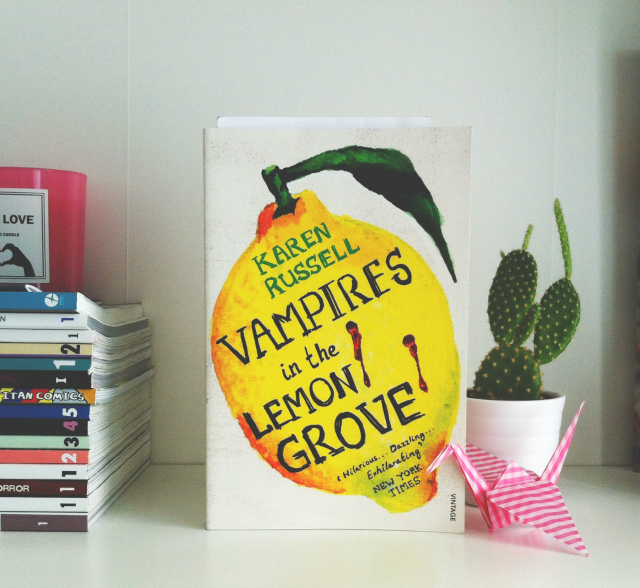 I would've preferred a big pay out but you get what you're given and all that...Oh, before I forget, my January book haul was so diddy that it ended up attached to my last adventures with bee post so go and have a read if you haven't already done so. As ever, you're encouraged to leave a comment and let me know what you thought of the following books if you've read them. I'd also love to know what books you've been buying of late because who doesn't need to add to a wishlist of over 300 books?! As teenagers in Lagos, Ifemelu and Obinze fall in love. Their Nigeria is under military dictatorship, and people are fleeing the country if they can. The self-assured Ifemelu departs for America. There she suffers defeats and triumphs, finds and loses relationships, all the while feeling the weight of something she never thought of back home: race. Obinze had hoped to join her, but post 9/11 America will not let him in, and he plunges into a dangerous, undocumented life in London. Thirteen years later, Obinze is a wealthy man in a newly democratic Nigeria, while Ifemelu has achieved success as a blogger. But after so long apart and so many changes, will they find the courage to meet again, face to face? 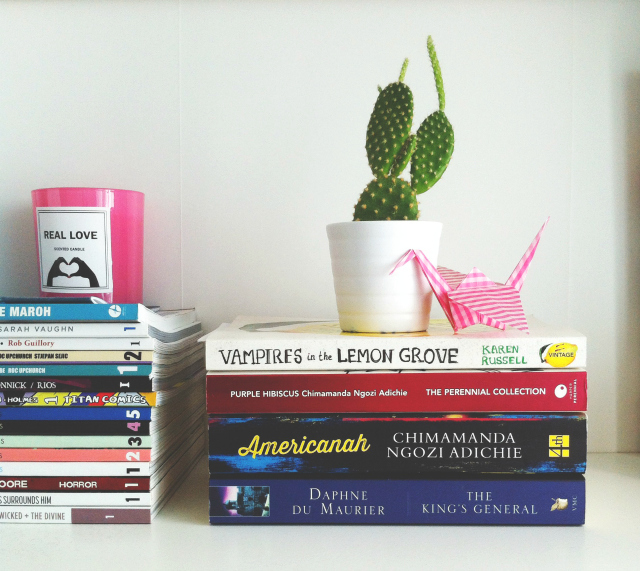 I'm trying to make 2016 the year I finally get to some seriously hyped books as a way of making myself even less cool. Americanah is one of those books that everybody talks about so I thought it'd be silly of me not to pick it up when I saw it tucked away on the charity shop shelf. I'm moving this to the top of my TBR pile because the blurb sounds too good not to. I love me some rich character development and that blurb just screams it! Honor Harris is only 18 when she first meets Richard Grenvile, proud, reckless - and utterly captivating. But following a riding accident, Honor must reconcile herself to a life alone. As Richard rises through the ranks of the army, marries and makes enemies, Honor remains true to him, and finally discovers the secret of Menabilly. 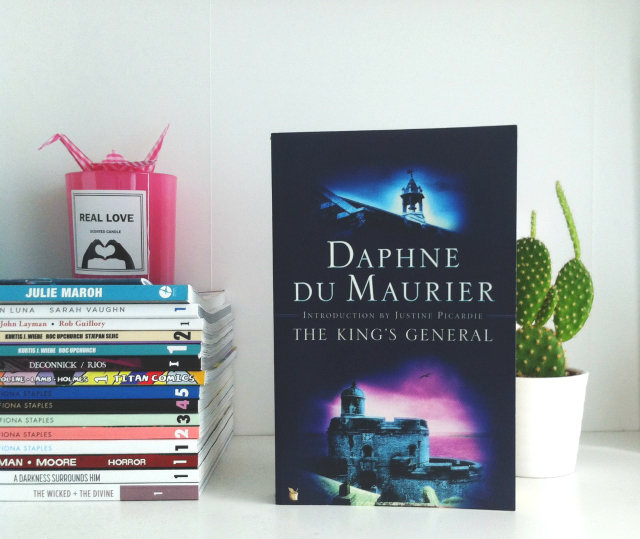 I love a bit of Du Maurier so I try and pick her up secondhand whenever I can. I own six of her books but I have read only two of them, Jamaica Inn and Rebecca. I've still got Frenchman's Creek, My Cousin Rachel, The Birds and Other Stories and, now, The King's General to read - which do I get to first? Fifteen year old Kambili is the dutiful and self-effacing daughter of a rich man, a religious fanatic and domestic tyrant whose public image is of a politically courageous newspaper publisher and philanthropist. No one in Papa's ancestral village, where he is titled "Omelora" (One Who Does For the Community), knows why Kambili's brother cannot move one of his fingers, nor why her mother keeps losing her pregnancies. When a widowed aunt takes an interest in Kambili, her family begins to unravel and re-form itself in unpredictable ways. 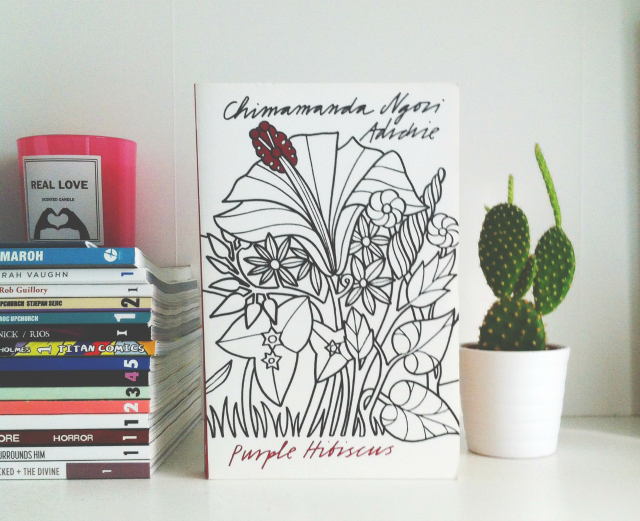 If the blurbs of Adichie's books are anything to go by, I think I'm going to be well and truly on the Chimamanda bandwagon by the end of the year. This is her debut novel so I may read it first, before Americanah, out of interest. Is it a good place to start? ...That's probably a stupid question. Within these pages, a community of girls held captive in a Japanese silk factory slowly transmute into human silkworms and plot revolution; a group of boys stumble upon a mutilated scarecrow that bears an uncanny resemblance to a missing classmate that they used to torment; a family's disastrous quest for land in the American West has grave consequences; and in the marvelous title story, two vampies in a sun-drenched lemon grove try to slake their thirst for blood and come to terms with their immortal relationship. If you read my January book reviews, you'll know that I fell head over heels for Russell's short story debut last month so it seemed only natural that I lay down several hints to Luke to buy me the follow up in celebration of our sixth anniversary. This collection isn't quite as popular as St Lucys, it would seem, but I'm excited to delve in because the stories sound pretty spectacular. 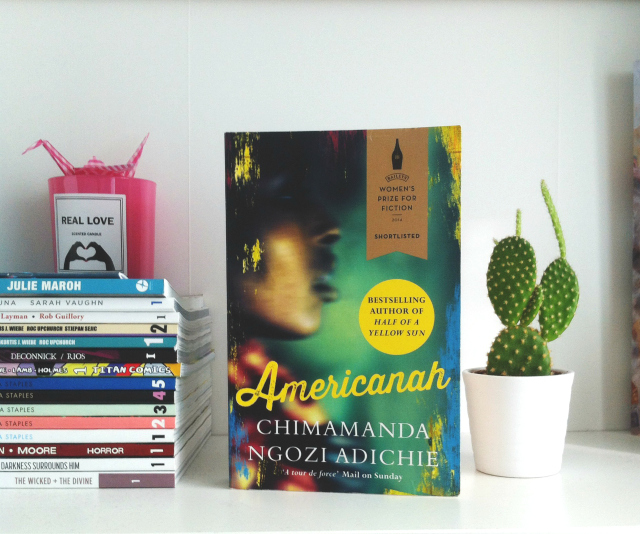 Such great recaps of each book, I think you just convinced me to finally add Americanah to my tbr list too. I can't wait to hear what you think of these once you read them!